This beautiful tabletop spread from the latest issue of Ivy & Piper inspired me to create a room around the color scheme and theme. That's the awesome thing about design - you can draw inspiration from just about anywhere. I adore the traditional toile wallpaper in the background mixed with the modern geometric printed table runners, along with the shimmery gold accents and unexpected tortoise shell glass vases. 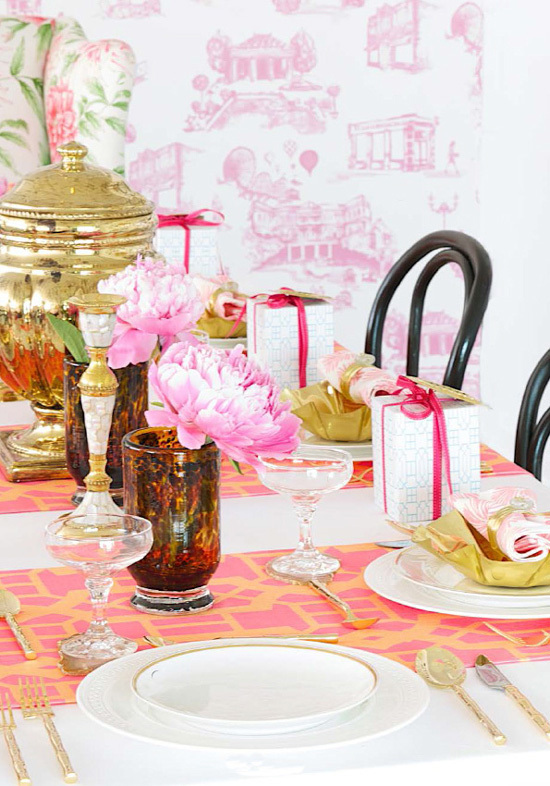 The space I envision is fresh, feminine and modern with a touch of chinoiserie glamour. This is definitely a space that would make me feel happy, relaxed and refreshed! See my top picks below on how I'd pull together a room inspired by this gorgeous tablescape! What do you like about this look? I love that it looks so fresh-a breath of spring after our hard winter. 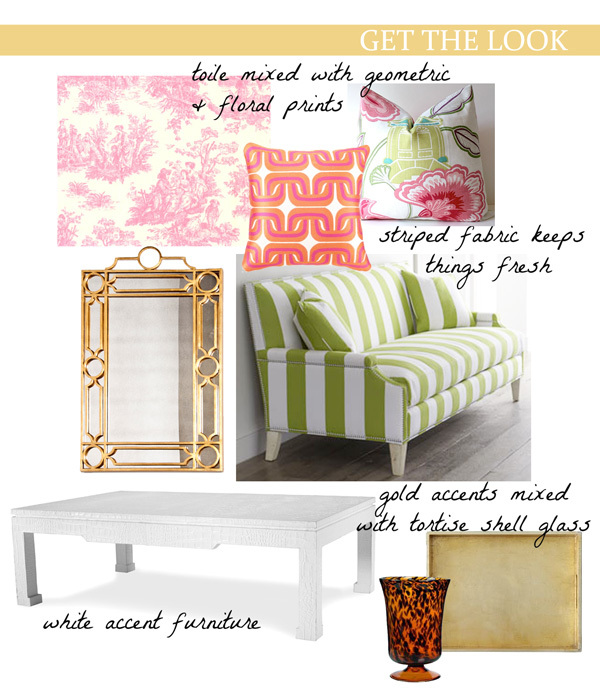 I've always been a sucker for toile and I it is great paired with the Chinoiserie pillow and coffee table. Such a pretty look. I love the fabric on the runners. So spring! I absolutely adore adore adore the background pink wallpaper. Very original. I have a bunch of pink inspirational posts at www.shoebox-living.com and will keep this wallpaper in mind for the future.